Perfect, soft, high quality, beautifully finished, wash well, cool colours, worth every penny!! Unlike most of the muslins available on the high street that feel like sand paper!! Love these! The most luxurious beautifully soft muslins I have ever felt and used! They are my go to muslins for everyone now. They seriously couldn't be any better, well done on a perfect product! Fabulous muslins, I have never bought such soft muslins, these are definitely the best you can buy! Thank you Cuski! 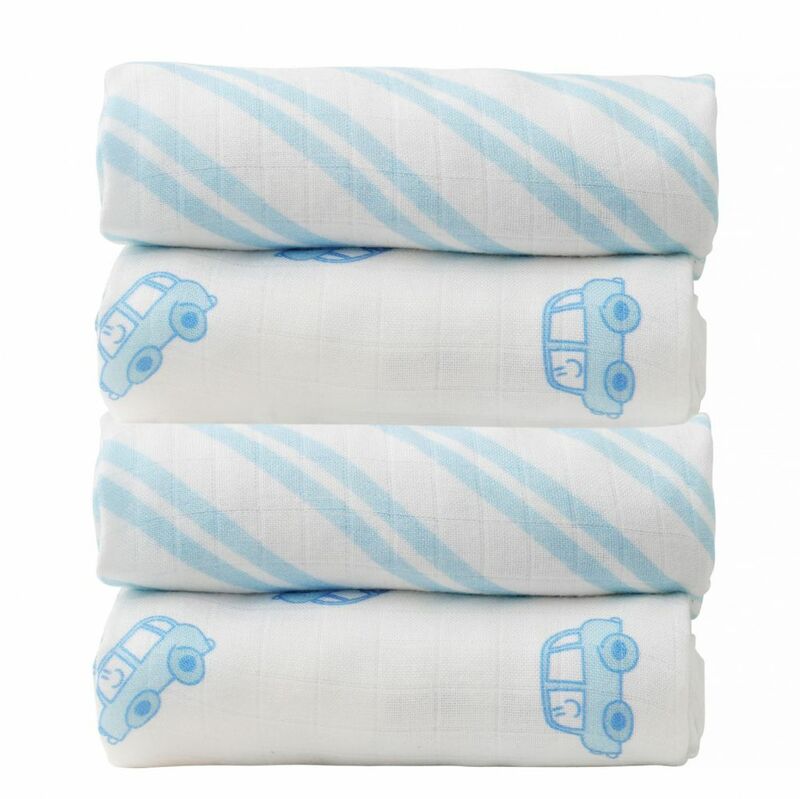 Was lucky to receive this beautiful mini Swandoodle it's so soft and nicely made like the big version and not only that it has many uses I use it as a wash cloth to wipe my son clean, a liner for emergency diaper change, as a shade it's the right size to hang by the car window to block the sun and sooooo much more my son loves to carry and drag it everywhere with his Mr.Boo as always Cuski products helps my son live a happy healthy life and he's one happy baby thank you Cuski! Absolutely love this! Great multi-purpose cloths, wonderful as security blankets, bibs, and teethers (yes, my son loves to gnaw on them a bit, haha!). I love that they are bamboo and anti-bacterial. My absolute favorite is the cab print - oh so cute, with its little smile! These are fantastic and wonderful to have around to toss into a bag when on-the-go. Wonderful quality!!! !